There was a time, when lice were so much a part of daily life that a good infestation was considered a sign of good health. Bill Bryon in his masterpiece of domestic history “At Home” tells of people forming this idea due to body lice fleeing the heat of a feverish body and poets imagining a lecherous louse crawling on the body of a beautiful woman and reaching places they could not. In modern times, the increase in hygiene has removed lice as a daily infestation. Most of us will have a passing experience with head lice as a child (or a parent) but few with think of checking for pubic lice. Lice are small insects, the pubic lice are a different genus and smaller size than the body or hair lice we are more familiar with. There are three stages in the life cycle of a louse, nits (eggs) which show as white dots on the hair, three stages of nymphs and the adult louse or crab. Pubic lice are human specific and cannot live more than 24hrs off the body. The nymph and louse both feed solely on human blood and cause bites that vary from 0.2 to 3 mm initially red turning to blue spots. The bites and droppings of the louse can cause itching and irritation that tends to be worse at night. 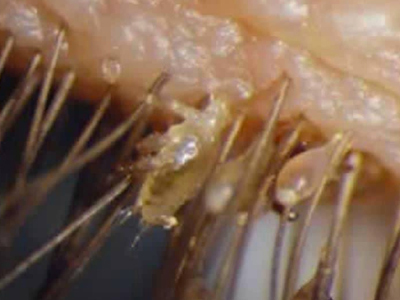 Pubic lice show a preference for secondary sexual hair. They will not live on head hair or other body hair, but, as well as pubic hair, they will happily dwell in armpit hair, coarser leg hair and, disturbingly, moustaches or beards and, in very rare cases, the eyelashes. Infestations are most commonly seen in teenagers and are spread mostly via sexual contact. They can be spread by sharing clothing or sheets but this is not a common form of transmission due to their short life span once off the body. They do not adhere to toilet seats and cannot be passed by use of public facilities. It is thought that about 2% of the global population is infected, though many scholars believe that the popularity of the Brazilian wax may be causing a reduction in lice populations. Unlike body lice, pubic lice have not been known to carry dangerous bacteria in their stomachs. Long-term infection can result chronic dermatitis and scratching can cause a secondary infection through broken skin. Treatment involves washing with special body wash and using a nit comb to remove any remaining nits. Clothing and bedding should be treated with a hot wash of clothing. Family members and sexual partners should be advised to get themselves checked. 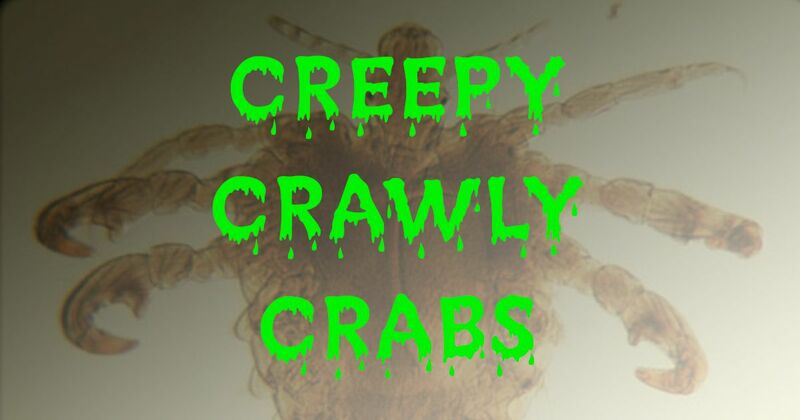 Infection with lice often occurs in conjunction with other STD infection so it is a good idea to get tested for the most common STDs if crabs are seen.